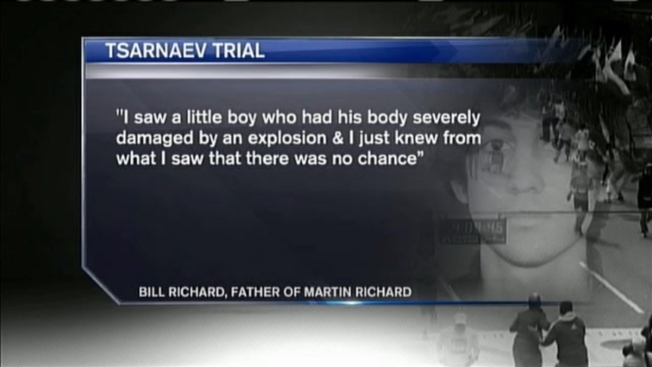 The father of 8-year-old Boston Marathon bombing victim Martin Richard recalled the last time he saw his son alive during testimony Thursday in the trial of accused bomber Dzhokhar Tsarnaev. Bill Richard, whose wife Denise and daughter Jane were also badly injured in the April 2013 attack, described how his family had just gotten ice cream at Ben & Jerry's when the first bomb went off. "We heard a thunderous explosion down toward the finish line and everybody just kind of looked toward the finish line," he said. The second blast, he said, was "ear piercing," and he was "blown into the street." Richard said he saw his wife kneeling over Martin, but at that point didn't know the extent of his son's injuries. Later, he said, he knew his son wasn't going to make it once he saw his condition. Survivor on Tsarnaev: "He's Just a Coward"
Rebekah Gregory said Thursday that she didn't initially want to sit near the Boston Marathon bombing suspect, but decided she did not want to be afraid of him anymore and is glad she decided to face him. "I saw my son alive, barely, for the last time," he said. "I saw a little boy who had his body severely damaged by an explosion and I just knew from what I saw that there was no chance." Several other survivors in the courtroom cried as they listened to Richard's testimony. Richard also recalled walking toward his daughter Jane, whose leg had been "blown off" in the blast. "I knew in my head that I needed to act quickly or we might not only lose Martin but we might lose Jane too," he said. Earlier Thursday, Jeff Bauman - who lost both legs in the attack and was photographed being wheeled away that day in one of the most widely seen images of the tragedy - testified that he locked eyes with one of the bombers shortly before the twin blasts. "He was alone. He wasn't watching the race," said Bauman, who walked slowly into court on two prosthetic legs. "I looked at him, and he just kind of looked down at me. I just thought it was odd." He said he then looked back and saw a bag on the ground unattended, which he thought was strange. "Two seconds later, I saw a flash, three pops, and I was on the ground," he said. "I could see the sky. I lifted my head and that's when I saw the chaos around me. People were screaming. "I was thinking, 'This is messed up, this is messed up.' I remember thinking, 'This is how it's going to end.'" Bauman said he heard the second explosion and something clicked. "We're under attack." He then got his second wind, sat up, and heard people saying they should get tourniquets. He remembers seeing a man wearing a cowboy hat, later identified as Carlos Arredondo, helping him and talking to him, which gave him hope. Arredondo grabbed him with one hand and picked him up and put him in a wheelchair. That image of Arredondo wheeling Bauman away became one of the most widely distributed photos after the attack. Survivor Roseanne Sdoia, who lost her right leg in the bombing, also testified Thursday. She said she was waiting for a friend to finish the marathon when the first bomb went off. 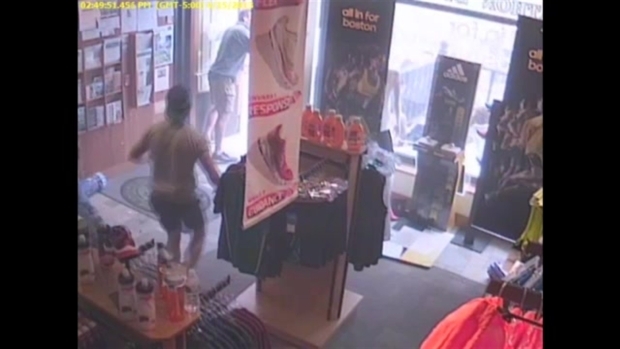 A piece of evidence seen during the Boston Marathon bombing trial shows the impact of the attacks from inside a store. Sdoia, who was at the race as a spectator, said she saw wounded people all around her, including someone covered with soot, completely dazed and "walking around like a zombie." "It was almost like I was starring in a horror movie, as everybody else was around me," she said. Prosecutors also showed the jury a grisly photo of her shredded leg. Others testifying Thursday included three FBI agents, three Boston police officers, and Alan Hern, whose 11-year-old son Aaron was badly injured in the marathon bombing, requiring 62 staples in his legs. Boston Police Officer Lauren Woods testified that she stayed with 23-year-old Lingzi Lu even after the woman died. The officer says she challenged her captain when he told her she had to leave the body of the Boston University graduate student on the street because authorities were afraid there was a third bomb. Lu was one of three people killed when twin bombs exploded April 15, 2013, at the finish line of the Boston Marathon. Who Made the Boston Marathon Bombs? 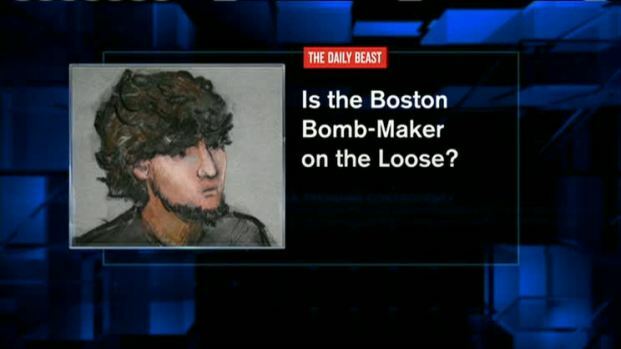 Wednesday, Dzhokhar Tsarnaev's attorneys admitted their client was involved in the attacks, but The Daily Beast has raised questions about the bombs' origins; reporter Susan Zalkind joins Joe Battenfeld on Broadside to discuss. Before testimony began Thursday, Tsarnaev's lawyers complained to the judge that the survivors' testimony from the previous day was too gruesome and should be limited. Defense attorney David Bruck objected specifically to the testimony of three women who described their injuries in detail and what they saw in the aftermath of the attack. Bruck said that under the federal death penalty law, victim-impact testimony is supposed to be presented during the second phase of the trial, when the jury decides on the punishment. Prosecutors denied that any of the survivors gave victim-impact testimony and said they merely described what they saw. U.S. District Judge George O'Toole Jr. agreed with prosecutors and refused to limit survivors' testimony. Thursday's testimony came following an emotional first day of testimony featuring three women who suffered severe injuries describing their memories of the blasts, their wounds and the terror they felt. Two of them had to have their left legs amputated and all of them spoke in graphic detail. It gave the jury a glimpse of the kind of agonizing testimony they can expect to hear in the coming months. Three people were killed and more than 260 hurt when two shrapnel-packed pressure-cooker bombs exploded near the finish line. 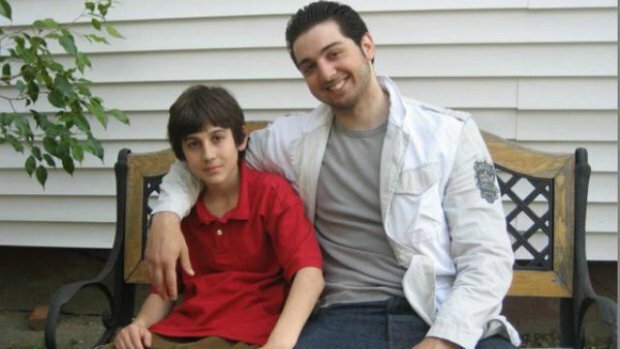 Tsarnaev, then 19, was accused of carrying out the attacks with 26-year-old Tamerlan, who was killed in a shootout and getaway attempt days later. Authorities contend the brothers - ethnic Chechens who arrived from Russia more than a decade ago - were driven by anger over U.S. wars in Muslim lands.